4.8 stars from 36 reviews. 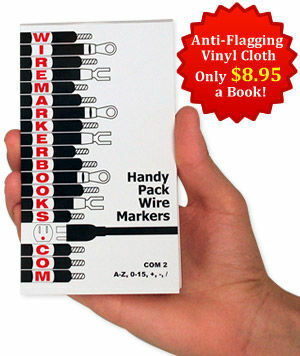 We specialize in Wire Marker Books and all types of wire markers. Here are five great reasons why we are the #1 choice of savvy contractors and engineers? • Conformable. 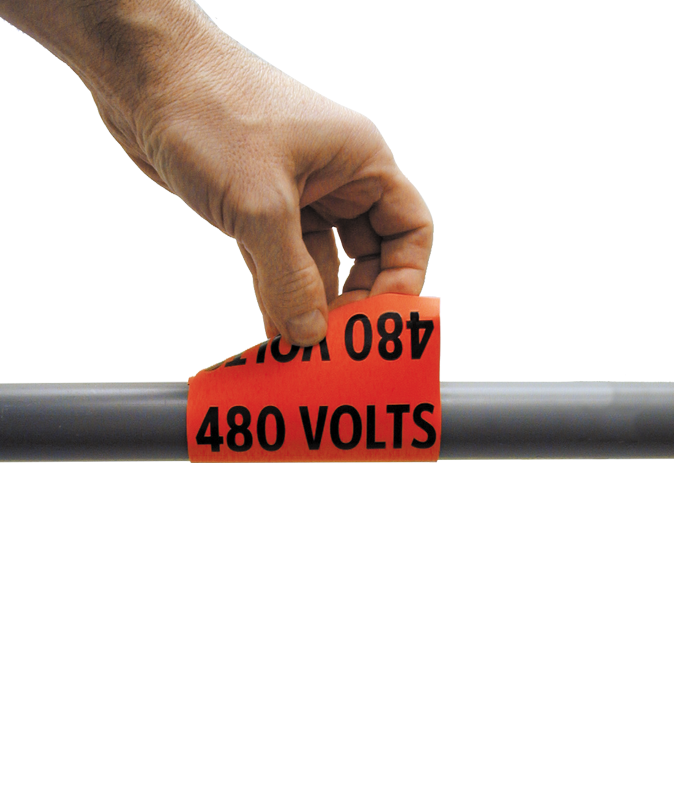 Our vinyl-coated cloth wire markers conform around even the smallest of wire gauges. • Anti-Flagging. There is nothing worse than a wire marker that flags. 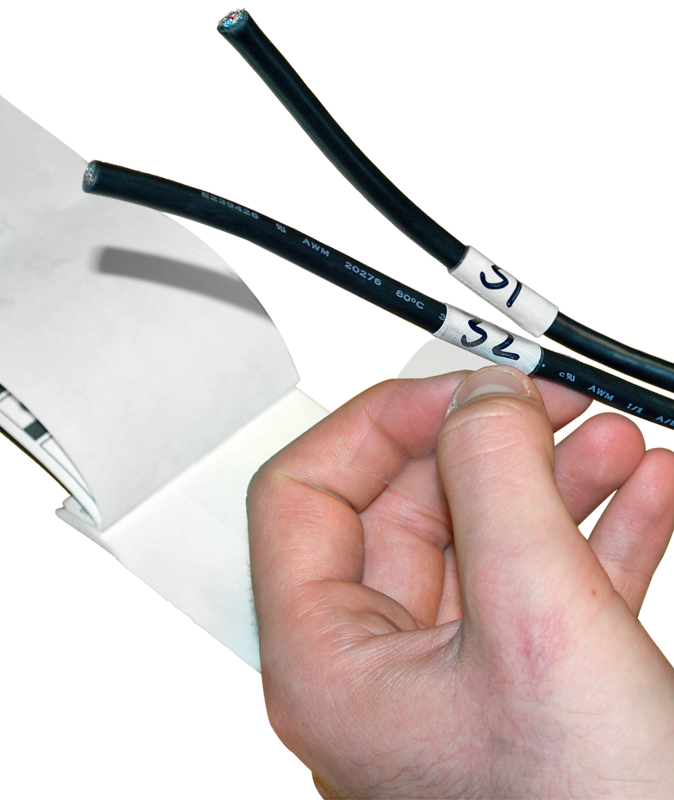 Tyvek wire markers, which are often sold for much less, have this distinct disadvantage. 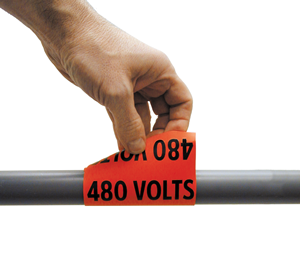 Our vinyl cloth wire markers are designed to stick well and resist flagging. • Repositionable. Need to reinstall the cable ID? No problem. 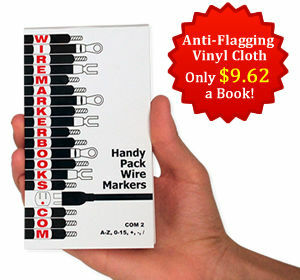 Tear-proof markers can be taken off. They stick permanently but can also be removed cleanly. • Affordable. 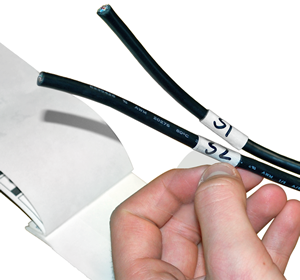 Why pay over $20 for a wire marker book from Brady, 3M or Panduit? Our vinyl cloth wire marker books are the quality leader. And, when you buy direct, you save 50%! See our cross-reference chart to compare part numbers for books from competitors. • Free Shipping. Orders over $25 ship for free. • Wire markers sold as individual characters. • Choose from numbers (0-99) and letters (A-Z). • All the industry standard cards and sheets. • Letters, Numbers & Abbreviations. • 55 book choices: Letters, Numbers & Variety Packs. • Convenient to carry and dispense; same great quality. Premium Vinyl Cloth - Just $8.95!